It sure is wonderful being a Chinese spambot! 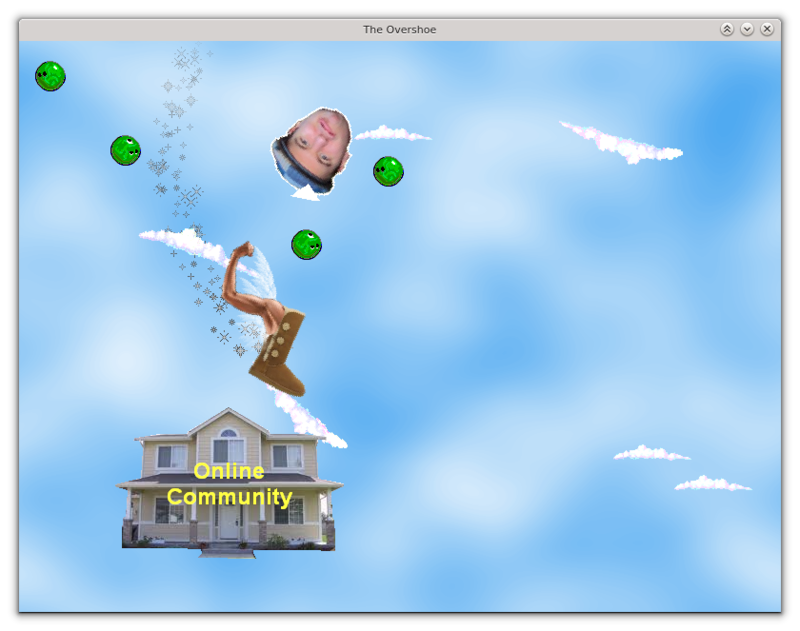 Fly gracefully through the skies, firing bowling balls at unsuspecting online communities. Don't get too close to the online communities though, or else you'll get stunned. Avoid Jeremy Penner's floating, disembodied head at all costs. Use the left and right arrow keys to steer. Hold the down arrow key to slow down a bit. According to this game, I'm a pretty good spambot. My personal best is 40.